What influences a wine’s price? Global consumption for prestige wine is rising. Among the reasons is the growing number of successful individuals in the developed BRIC states and other emerging markets: they are celebrating their new-found wealth and recent achievements by cracking open wines they see as the best in the world and insist on purchasing just a few prestigious names*, with the all-important vintage or year of production. This creates demand competition and therefore price movement for a small number of labels. If this demographic loses its desire for the best wines for a period, or is overstocked, then wine values can drop as a result. *Only a few wine producers in the world see their prices rise and it is a handful of French producers that carry the status of being the very best – the kudos of those Chateaux cannot really be altered. Is wine collecting genuinely profitable? As the headlines say, some wines can shoot up 30% in a year, but that is very uncommon. Our own strategy of a mix of Chateaux and from good vintages attempts to iron out much of the volatility and avoid direct correlation to the sentiment markets that way. Wine prices for any single case can move down as well as up, so we advise not to buy wines from a single Chateau. How proactive do I need to be with a wine collection and what term should I expect to wait before selling a collection? It is not advised to approach your wine portfolio with a buy/sell : buy/sell mentality. Though each trading year might deliver growth or loss, the best returns are normally seen after a medium to long term hold. The reason is that aside from the favourable demand vs supply equation, a key attribute of a very fine wine is that it improves with age which can have a positive consequence on its pricing. In summary, adopt a game of patience, let the wine age and its quantity deplete, then look for a sale. How much sector knowledge do I need? Very little, but you will require advice from a trusted consultant or merchant. In general terms, your core principle must be to attain those Chateaux that enjoy the highest level of luxury brand status and a consequent global demand; (most wine labels do not carry a global appeal as a luxury mark). The year of production or vintage is of high importance. Who is best to assist me with my first wine collection? The Niche Operator / Advisor: it is particulalry important to ascertain their term in operation and be sure to get 3rd party references; existing clients should be able to give a reference. Also research where your wines will be stored and how ownership will be recorded. Any commission fees charged need to be specified at time of purchase. The Large Merchant: may have several thousand clients to look after so make sure you understand how it guards your interests at the time of an eventual sale. Make sure you understand how wines will be sold and again, ask to know of any future commission fees at time of purchase. How easy is the selling process? We assist the sale of your wine portfolio. Wines that we are advising for client portfolios should enjoy a strong secondary market and a ready demand. We have regular B2B contact to promote and organise offers on wines that are deemed ready for sale. Could I make a loss? Firstly keep realistic expectations and don’t believe that every fine wine rises in value. These days a very good wine from a good vintage may already have had some of its growth potential eroded by the Chateau’s own pricing policy so take a measured view on this with your advisor. If you buy such a label and need to sell in a softer market there could be the potential for loss and it can be significant. Requesting opinion from a consultant that knows the market will help guard against this but at FGB we give no guarantees that our advice avoids the potential for loss in a collection’s value. • We only use known suppliers who deliver wine stocks on time and in excellent condition. • We manage the logistics of each wine holding with the utmost care and accuracy. • The trust we offer to all members of our supply chain is maintained through a strong and regular communication, a detailed scrutiny of their service provision on a monthly basis and most crucially, a mutual understanding of what level of service is expected in today’s fiercely competitive wine market. • Client stock is insured by FGB and the Storage Bond – we only use logisitcs firms and store facilities that have robust insurance cover at replacement value. • We assume a responsibilty to clarify, for each client, their purpose for using our service; a client may wish to A/ build a collection for resale or B/ build a cellar for indulgence, other suppliers may not choose to define the two but at FGB we consider this fundamental to our relationship with all clients and vital in setting realistic goals for the midterm. • We are wine collection consultants; the ability to work in different ways means we can put a large emphasis on understanding the aims of each purchase, tailoring each client brief to ensure appropriate stock decisions on every purchase. We can only outline, in very general terms, the HMRC position on wine taxation as we are not a financial institution so cannot give financial advice nor tax advice; accredited financial advisors and tax professionals should be consulted on all tax matters. • We encourage clients to independently research the subject of wine values to discover for themselves the factors that can influence wine pricing. • Because the future value of a wine collection, or any one case within a wine collection is impossible to know, we do not make any guarantees in this regard. • At the core of our work is an enthusiasm and commitment to meet client expectations, and wherever possible, exceed them. French release pricing strategy is still a dampener for the energy of the Primeur market. It can no longer be good strategy to buy barrel wine at extortionate prices, ...the Chinese have long since changed their appetites. Latter 2017 showed some further gains but anticipation is some stabilising of prices. Weak pound influenced by Brexit has no doubt helped UK wine trade but is now factored into price levels. Anticipating a tough year ahead at top end of Bdx pricing. Prices stabilise across Q1 following rises in second half of 2016. 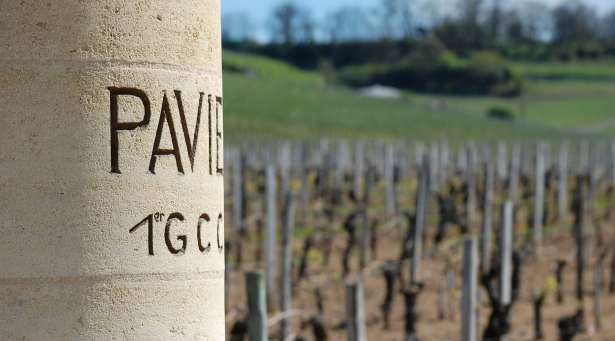 The early reports that suggest a strong 2016 Bdx vintage could be rubber stamped at April Primeur tastings. Slow trading to end of Q2. Then the BREXIT shock and resultant Sterling weakness gave incentive to overseas buyers, with particular demand from the US fueling some price growth to end of year. Italian wine gaining more share of fine wine market; Sassicaia 2009 with 4.4% share alone. Mr Vine, the free UK wine app for buying classy everyday wine for door delivery, is now live on the app store - its getting an amazing reaction across the wine trade! Election day. Will we end up with a 7 Party coalition?! Bordeaux En Primeur release well underway for the 2014 vintage; some reasonable start-pricing by the French sellers but a further cut of circa 5% to 10% was what the trade wished for.. C'est pas formidable! A six-litre Methuselah of Romanee-Conti 1989 DRC will go into Sotheby's Hong Kong auction this September with an upper estimate of HK$800,000! 2013 late BDX crop development could point to delayed harvest.. another tricky vintage? Far too early to call..
London International Wine Fair's star stand: "Wines of Chile"
Latour's 2012 vintage will be last sold En Primeur!